NGO News blog, NewsLine: Dear Teachers. “You are the spark, the inspiration, the guide to our lives. – Pupils of SEVAI Shanthi Matriculation Higher Secondary School celebrate Teachers Day-2017. Dear Teachers. “You are the spark, the inspiration, the guide to our lives. – Pupils of SEVAI Shanthi Matriculation Higher Secondary School celebrate Teachers Day-2017. 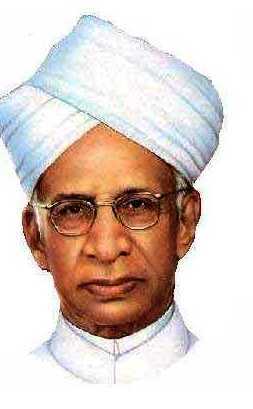 the Dr. Sarvepalli Radhakrishnan, who was a great scholar and teacher. In his later life first he became the Vice President of Indian republic and then the President of Indian republic. Students and public across the country observe this day to pay respect to their teachers. It is truly said that teachers are like back bone of our society. They play a great role in building up the characters of students and shape them to become an ideal citizen of India. Teachers are the people who turn students Scientists, doctors, engineers and all other professions. There is a saying that teachers are greater than the parents. . Teachers mould that child's personality and provide a bright future. Apart from academics, teachers stand by us at every step to guide, motivate and inspire to become better people. They are the source of knowledge and wisdom. Celebrating teachers' day is one of the finest annual occasions. Teachers Day is held every year on September 5 to honor teachers and recognize their contributions to education and development.